International assortments, best-in-class suppliers and a closed catalog cloud with full transparency – Meplato supports companies with a holistic and comprehensive coverage of their indirect purchasing requirements. Extend your assortment by getting access to millions of items, combine your suppliers and reduce your number of creditors. Make procurement easier for your employees by positioning free text queries for selected suppliers per country & material group. Meplato maintains close and intensive relationships and strategic partnerships with top international suppliers. The focus is on ensuring the broadest possible product portfolio for all material groups in indirect purchasing through a healthy mix of selected suppliers. This combination in conjunction with our closed catalog cloud, non-public prices and full transparency towards buyer and supplier is reflected in a particularly low price level. And this applies to more than 23 million products! Meplato maintains close and intensive relationships with top international suppliers in over 11 countries. The focus is on strategic partnerships with the aim to ensure the broadest possible portfolio for all material groups in indirect procurement through a healthy mix of selected suppliers. Meplato operates according to existing KPIs and purchasing strategies and supports purchasing departments in particular in terms of assortment gaps and potential for optimization. The Meplato creditor can be used to significantly increase the catalog-based procurement while reducing the number of creditors. Meplato can take over the consolidation of any number of national and international suppliers. This includes existing contract suppliers with own framework agreements as well as suppliers that were previously not connected to the catalog base due e.g. to low volumes. The order and settlement process with Meplato as creditor is simple and transparent. Once the assortments have been made available, the consumer can use his e-procurement system (e.g. SAP SRM or WPS of Wallmedien) to search seamlessly across the Mall, compile and submit shopping carts. At this point, the creditor Meplato takes over all stored settlement processes with the respective supplier. On the basis of more than 170 million products and product variants Meplato analyzes price and delivery conditions and identifies optimization and savings potential. Purchasing companies are able to compare their key assortment to the business line benchmarks, validate alternative suppliers and maintain watchlists for products that require special monitoring. The Meplato Kiosk can be used to place direct requests with stored suppliers or per material group or to order not found items from connected local purchasing service providers. Which supplier is behind the selected item is always visible, for example through the identifier “Supplier@mps”. 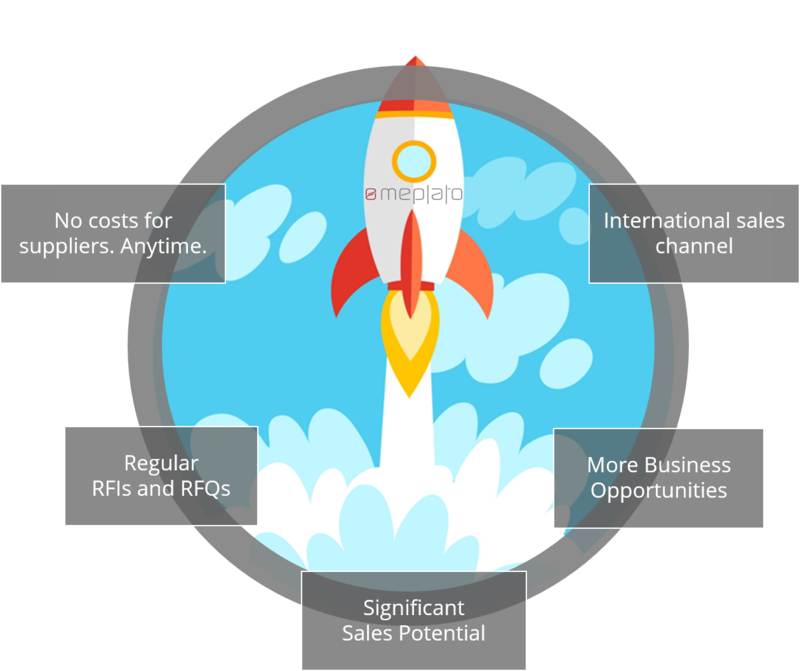 Meplato connects buyers and suppliers. 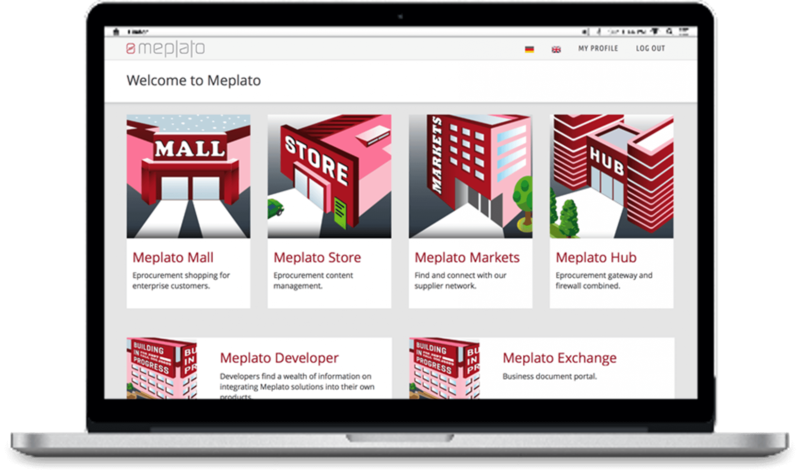 Learn more about how Meplato can help your company and what opportunities the Meplato network holds for both buyers and suppliers. You want to experience Meplato? Amprion GmbH is a German transmission system operator in accordance with the Energy Industry Act (EnWG) for the electricity sector. The company, which was created as part of the RWE Group, has approximately 1,100 employees, its headquarters are located in Dortmund. The Alfred Kärcher GmbH & Co. KG, abreviated to Kärcher, is a manufacturer of cleaning equipment and systems headquartered in Winnenden, Baden-Württemberg. The family-owned business employs more than 11,000 people (2014) and is a world market leader. Stiebel Eltron is a company for electrical and heating solutions headquartered in Holzminden, Lower Saxony. The family-owned Stiebel Eltron Group is a manufacturer of electrical, hot water and heating appliances as well as of systems using renewable energies, heat pump systems, solar collectors and home ventilation systems with heat recovery.